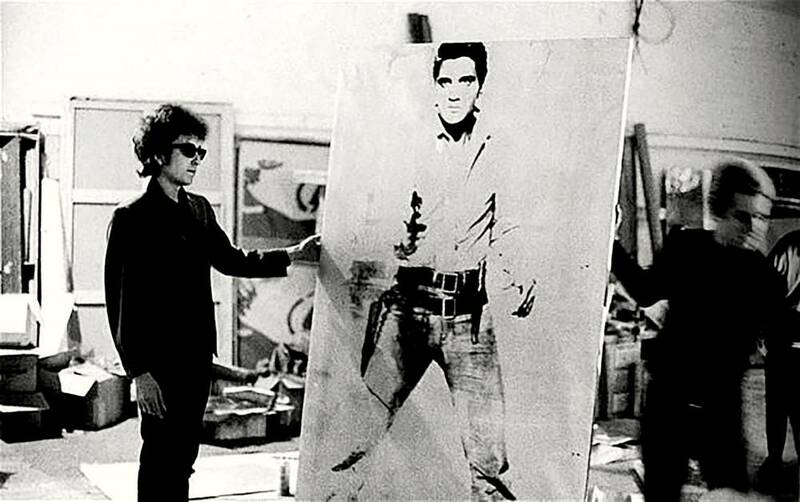 "Elvis+ Arte Americana Anni Sessanta by Andy Warhol 1987 on linen Arte Americana Anni Sessanta or Americana art from the 1960's was a show that took place in Venise in 1987 with works by Andy Warhol of which this was the poster. Le Cento Immagini di Andy Warhol by Andy Warhol 1989 Le Cento Immagini di Andy Warhol or 1oo images of Andy Warhol for an exposition of 100 of his works in 1989 taken place in Genoa. Original and rare ! Andy Warhol Martini Gallery by Andy Warhol 2001 Poster made for the exposition Andy Warhol in 2001. The poster is on heavy paper and mounted on linen in excellent condition. Poster was printed with Silver ink ! Andy Warhol "Warhol Unlimited" by Andy Warhol 2016 Poster made for the exposition Andy Warhol in 2016 at the Musee d'art moderne in Paris. The poster is on heavy paper and mounted on linen in excellent condition. Difficult to find original poster. Andy Warhol Absolut Vodka by Andy Warhol 1994 Poster made for the exposition Andy Warhol in 1994. The poster is on heavy paper and mounted on linen in excellent condition.